When you select one, it allows you to make plans easier. Everything you do going forward is with the theme in mind. It allows you to control costs better when you have an idea of what type of get-together you want to have for your employees and their families. You may want to do a family night at Fenway Park or a dinner and a game. You can do an in-house company party allowing you to save on venue expenses and splurge for everything else. See if anyone wants to volunteer to help you plan, set-up, and tear down the event. That way, you’re not stuck doing everything alone. Having other people to depend on makes fast work of even the largest event. It allows everyone to have a good time, too, because it looks like professionals were involved rather than an amateur. The BBC Good Food website offers plenty of advice on which foods to prepare and the quantities needed to feed a hungry crowd. Don’t forget to thank your volunteers for helping make the event a success! Fenway Park is one excellent option. 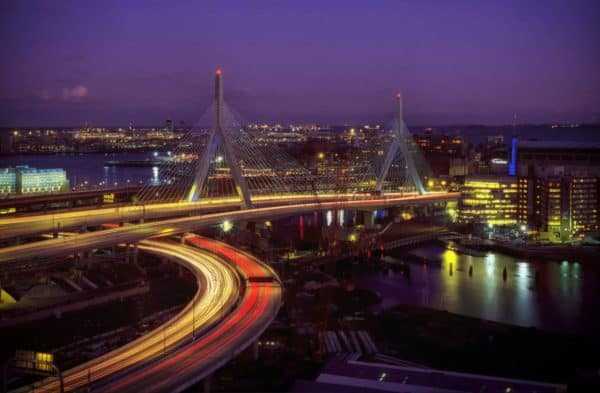 If you’re not able to host a corporate event there, try other epic locations throughout the city. Remember that the bigger the venue, the better equipped it is to hold all your employees, their families, the vendors, staff, and entertainers you’ve invited to the party. Also, larger venues tend to have a venue coordinator who can help with planning and logistics. Contact balloon artists, magicians, face painters, and caricaturists months before the events scheduled date. You’ll be able to get a package for a price within your budget for the entertainers. The more variety you have to offer, the less overwhelmed one entertainer will be serving all your employees and their kids. Think about setting things up outdoors carnival-style where each station offers a different form of entertainment for your guests to enjoy for free. Jonah’s Twisters will gladly help you figure out your event needs. Why contact many entertainers when you can have one do all the booking for you. Reserve a bounce house or inflatable waterslide. Nothing says fun like these two things. The kids attending the event will love what you have to offer them. Their parents will be grateful because you decided to include them in the event. It’s the perfect way to encourage bonding between families. Now that you know what makes an epic company party, you can start making plans to host one right away. By deciding which activities you want to offer your employees and their families in the form of entertainment allows you to arrange for the rental of these items. 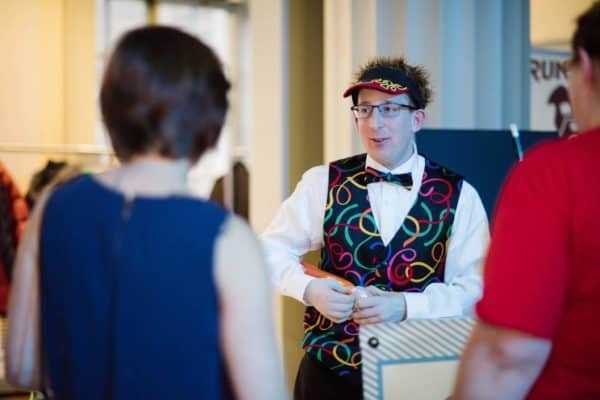 You’re able to hire the right magicians, face painters, and caricaturists, too, because you reached them while they still had time in their schedule to assist with your event. Jonah’s Twisters has the best entertainers in the Boston area so contact us for all of your event needs. Have you just moved to a new neighborhood and would like to get to know your new neighbors? These block party tips will help you host a better summer block party. After you have settled into your new home, get ready to host the most fantastic block party ever. Not sure how to do this, follow below block party tips to get some ideas. Hand out a letter to everyone in your neighborhood explaining what your intentions are and see if anyone would like to help in the planning of this amazing summer party. Make sure to put a way to contact you on this letter so people will know how to reach you. Once you have some volunteers, then you all can come up with a theme and get started planning. Decorations, invitations, activities, entertainment, laws, and guidelines will have to be decided. The invitations should go out as soon as you set a date and have everything approved by the city. Pick a location in the middle of the block. For easy access and safety reasons, pick a house that has the driveway in the front or a circular path. This is a great place to set up the grills and all things associated with the food and beverages at your party. Before you can set up anything though, make sure all the yards have been cleared of anything that could be a liability such holes in the yard and loose stepping stones. Make sure all the garbage and dog waste is cleaned up in the yards and on the street as well. This could be a great job for all the children in the neighborhood. Access to a pool if possible! 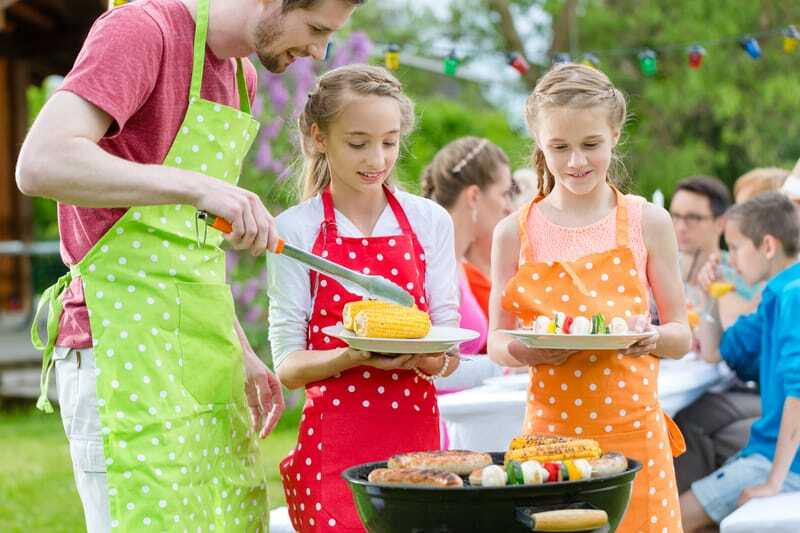 With these planning tips, you can a great summer block party – just be sure everyone is safe! Hopefully, all of your neighbors decide to attend, but in case they don’t, respect their wishes but try not to plan too much around their property and keep the music as moderate as possible. Getting invited to a birthday party is one of the most exciting things that can happen to a child. As an adult, you know that planning that party can be a little stressful. 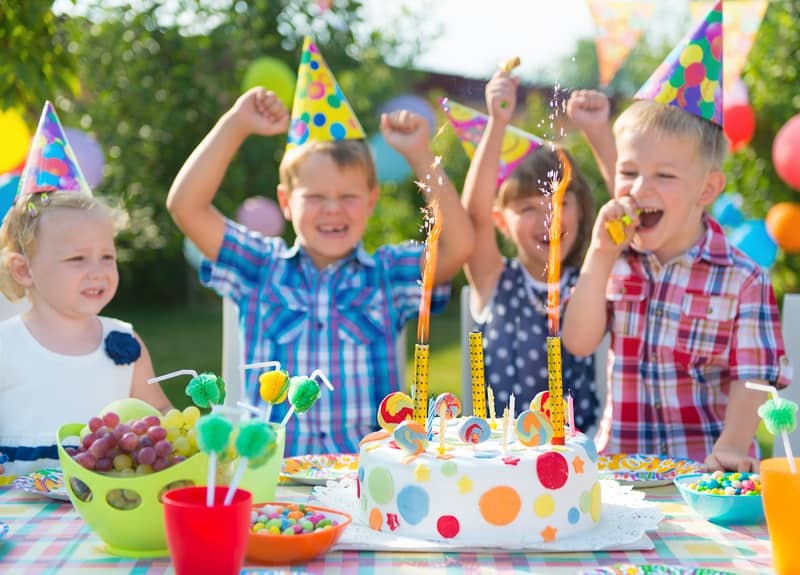 This article goes over some tips and birthday party essentials to keep everything fun and as exciting for you as the guests that are attending it. Everything on the list is easy to do and will be sure to leave a memorable impression on adults and children alike. No matter what age a child is, they tend to get bored fairly quickly. You can avoid this from happening by planning activities at the party. Arrange for the kids to play games that are fair and easy for children of all ages. One party favorite is Pin the Tail on the Donkey. You can change the theme of this to match any theme, such as: Place the Tiara on the Princess or Pin the Carrot on the Snowman. A pinata is also an excellent game for any birthday party and also fits into any birthday theme. Because it hangs on a string, it is easily lowered or raised to accommodate kids of all sizes. One thing that all kids love is personalized goody bags. Like the game activities, they can be customized to match the party theme. They are not difficult to make. All you need is several party bags, so each kid goes home with one. Fill the bags with tiny toys, candy, stickers, etc. Maybe even go with some funny options with customization, such as funny pictures of your child and their friends so that the bags (or candy wrappers themselves) can be stored and treasured. Anything that fits inside the bag and is kid-friendly will make do though! Make sure you make a few extra just in case! Once the bags are handed out, you should write the name of the child on each bag, so everyone knows which bag is their bag. This will save a lot of tears and arguments! Jonah’s Twisters can make custom goody bags with or without balloons. You may have some kids who don’t have to partake in the activities. You also may need something to entertain the kids when the games are finished. If you have space, you can rent a bouncy house, a balloon artist, or even a face painter (or if you have the artistic sensibilities, do it yourself). Make sure you get the proper insurance through the company you rent the bouncy house from just in case. The bouncy house is a great way for kids to burn off energy and children of all ages are sure to love it. A well-planned party can make the world of difference for any host. Remember these three tips for your next birthday party, and it’s sure to be a hit! If you need help with any of this Jonah’s Twisters is more than willing to help. Just contact us below. Most bars have a promotion to get people in before they normally get busy called a happy hour. Did you know that balloons are not just for birthday parties? Did you know that some companies have socials for their employees that are similar to happy hours? These socials are great for employees to enjoy the company culture without having to worry about the stress of deadlines. Corporate events can be very simple or super fancy. At some companies they bring in some alcohol on a Thursday afternoon and that is it. In other companies it has a theme, is catered and there is entertainment. I have performed at several of these events. People do not realize how intricate and detailed balloon designs can be. I have had the pleasure of entertaining at many of these and can tell you that the balloons have many benefits for a workplace event. 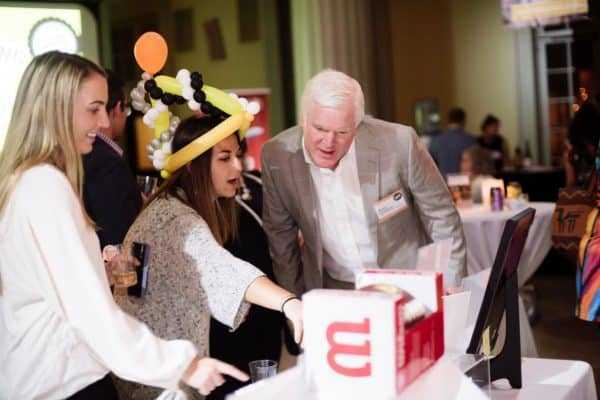 Some of the benefits that balloons bring to a corporate event includes: ice breaker, improved atmosphere, cooler pictures, and awesome keepsakes. I have seen people from different departments who have not ever met bonding over their different balloon designs. Having balloons at an event makes it feel less like a stuffy office and more of a cool place to let loose. The pictures at the event allow the participants to remember their balloons and their reactions to the balloons. The people who receive a balloon not only get to keep it they can do whatever they like with it. I have heard of employees decorating their cubical with the balloons I have created. So, your company doesn’t do happy hours, cool. Jonah’s Twisters has entertained at take your kid to work day. 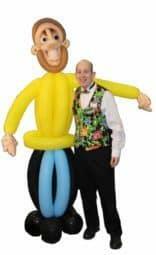 We also offer balloon twisting workshops and we can access a network of other entertainers. Does your company have a booth at a fair, festival, or tradeshow that you would like to increase foot traffic? Jonah’s twisters can help engage your audience and inform them about your product. We also perform at company holiday parties. We would love to talk to you about your event and the different options that we have to make your event successful. Such as clowns, magicians, stilt walkers, face painters, and caricature artists. On Presidents Weekend, you can find me at the Bob’s Discount Furniture in Woburn, MA. When I am at Bob’s creating balloon art, memories, and more. Woburn is outside of Boston and perfect location to see Boston Balloon Art by Jonah. I will perform for all patrons of Bob’s from 11:00-3:00 pm Saturday- Monday. I will be in the freebies section towards the back of the store creating amazing balloons. The freebies section has cookies, candy, ice cream, and more. Jonah and a larger than life creation of Bob. At Bob’s I can make sculptures that are more complicated than when I am doing crowd work such as at the Boston Red Sox. I am also able to take challenges. While I have some regulars who will come in and challenge me to make things that I did not even have on my radar. Seeing me in person can be your chance to give me the best challenge you have got. This balloon artist loves challenges as it keeps me involved in my work and on my toes. My favorite part is the reactions of people when I create things that they did not expect I could create. Also, if it is slow I may build something really big. Visiting Bob’s Woburn is a great way to see me in action. Also, to determine if I am a good fit for your next event or promotion. Going to Bob’s on Presidents weekend is a great way to get a balloon sculpture without the wait. You get my undivided attention well I make your sculpture(s). This is the weekend that Bob’s opens new stores around the United States. Sometimes they have have give aways for those who come in and visit. So worst case you get an ice cream and a balloon. Contact: Jonah or Bob’s Discount Furniture Woburn if you have a question. Are you planning a party for a company or for someone’s birthday? 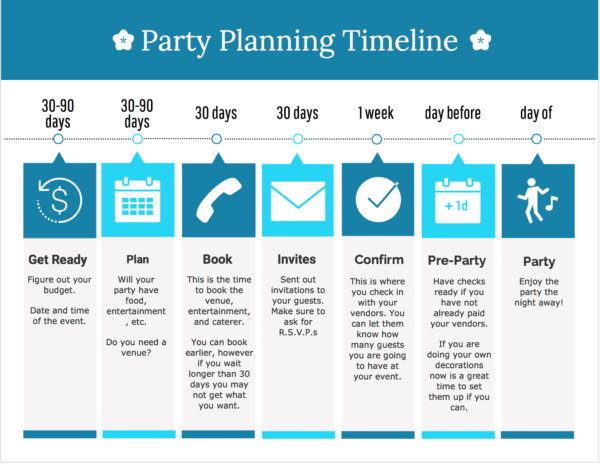 In this post, we are going to discuss some of the aspects of party planning. We are going to especially be looking at entertainment and how that fits into your party. This post is intended to help you understand how you can best work with entertainment professionals. There are many steps involved in party planning so please let me know in the comments if I forgot one. Before you start planning it is important to come up with a budget and be aware of it. Knowing the budget will make the next steps easier. After you have your budget you will need to decide on a date and time. This can be flexible, but good to have in mind before going forward. The next step is to identify your attendees. Who is going to attend your party? How many attendees? Answering these questions will help you figure out what venue and services you may require. If you are having over 200 adults then your apartment is probably not the right choice. Then a venue can be found that matches your attendees and your budget. For most birthday parties the venue can be the home. If you are using a backyard for any party have rain contingency plan. Next is food based on when in the course of the day you party is you can figure out how much and what types of food you will require. Now you have the venue, date, list of attendees you can know work on the entertainment. Make sure to ask for R.S.V.P.s to know who is coming. Hopefully, you still have funds in your budget for entertainment. The options for entertainment are many. In the next section, I will focus on the options that Jonah’s Twisters can provide for parties in the Boston area. Jonah interacting with a customer at an event. Jonah’s Twisters offers a variety of services with balloons. We also work with entertainers and service providers with many different skills. We are able to help most clients and if not we will refer you to someone who can better help you. For party entertainment, Jonah can walk around and make different sculptures for the guests. Jonah can also create amazing balloon decorations for your event. Custom sculptures made to look like the guest of honor or the things they like are also possibilities. Do you want a custom photo frame for your event? Jonah’s Twisters can do that too. Are you planning a party and interested in discussing your party with us please use the contact box below. Make sure to plan ahead and give all the vendors you will be working with plenty of notice. The closer to your event the higher the likelihood the vendors you want are already booked. Also by booking in advance, you can have all of your contracts signed weeks before and feel less stress. I want to clarify that I do recommend entertainment at any event. However, I want to clarify that more entertainment is not always better. You want your guest to have a good time and enjoy the party. If you have too much entertainment your guests will leave feeling overwhelmed. They may feel upset if they did not get to participate in all the activities. Thank you for taking time to read this post. However, if you feel I missed anything feel free to let me know through an e-mail or the comments. Are you planning a party and interested in discussing your party with us please use the contact box below.